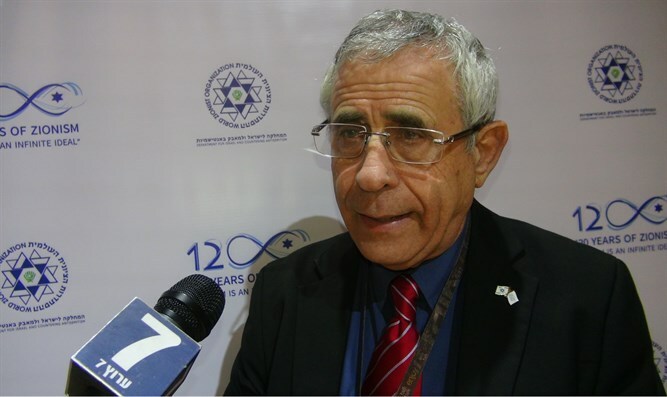 Middle East expert Dr. Mordechai Kedar tells Arutz Sheva: The Palestinians have lost all direction. They have no agenda. President Donald Trump “burst the Palestinian Arabs' bubble”, Middle East expert and regular Arutz Sheva contributor Dr. Mordechai Kedar said on Thursday. “The Palestinians are very disappointed because they built an entire building by claiming they will get a Palestinian state. Who will give them such a thing? Nobody. They dream about the 'return' of the 'Palestinian refugees' not to 'Palestine' but to the same villages in which they lived in Tel Aviv, in Netanya. These are all dreams, and now Trump came and took out the Jerusalem card from the building, as well as the issue of the refugees which they kept alive for 70 years, and now the whole thing is shattered to pieces,” said Kedar. “I support the move of not only the American embassy but of all embassies to Jerusalem because this will contribute to peace. When our neighbors – Palestinians, Arabs, Muslims – understand that they've lost the fight against us, this is when peace will come,” added Kedar.